hd00:15a lion eats a gnu while others look on. 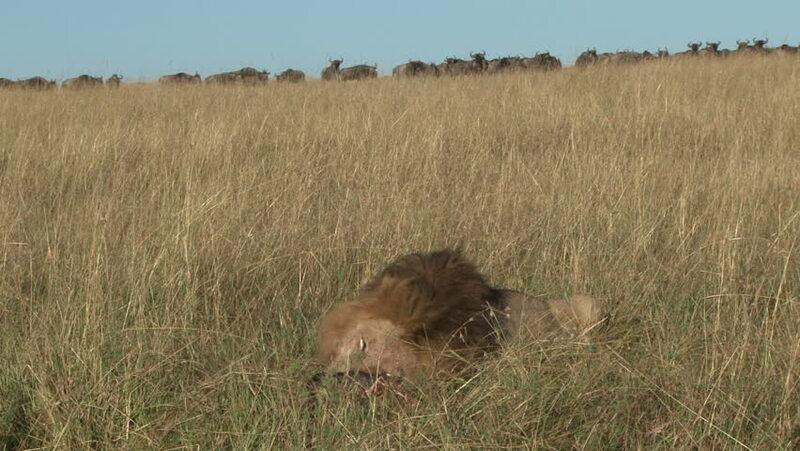 hd00:14A big male lion eating with wildebeests in the background. 4k00:09Baboons pace across the grasslands of the Kenyan savanna.